This project includes the vision of study groups meeting monthly to listen to (or read transcripts), discuss, and provide feedback on the show episodes. There is a discussion forum on the website, where people can post feedback. There are study questions posted with each show to help you run a study group, and there are suggestions for how to organize a study group here. What is the intention for the study groups to glean specifically from the podcast? We want them to learn strategies of organizing; history of social movements; and theory revolutionary change. We hope people will discuss the ideas in the podcast, practice explaining the issues brought up in the show, talk about agreements and disagreements the group members have, and formulate follow up questions they would like the podcast to explore in future episodes, or that they would like to further explore as a group. 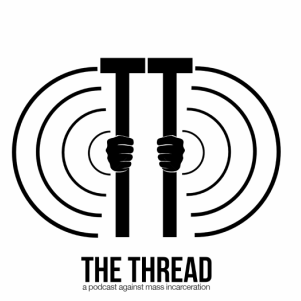 How will the podcast and the study groups in association with it push forward the agenda to stymie mass incarceration? Specific policy change? Awareness? Social movements? Bring to politicians? We hope the podcast will solidify ideas around which more people can coalesce. These would be ideas that challenge the current method of non-profit organizing, incremental change, and focus on actions that build group power and have both short term reform goals and longterm goal of total system change. We want the podcast to be a way for people to become better organizers. The act of putting together study groups, facilitating, debating ideas, and discussing how to further engage with the topics will itself be a means of practicing important organizing skills. How will they bring more people to the study group? How does one prepare to facilitate a group discussion? How do you deal with conflict within the group? These are all questions that participants will be forced to confront, making them better organizers. We also envision it as a crucial way for activists to connect across regions. How do people send in feedback? People can post feedback in the Discussion & Feedback tab on the website, or email or mail in written feedback. In addition to feedback and responses to the shows’ content, study groups across the country would be encouraged to send in announcements for upcoming local actions and ongoing campaigns. Who can send in feedback? Any group or individual who is in basic agreement with the Working Principles. You can post to the Discussion & Feedback section or send to us by email or mail. Who do you envision starting study groups? These study groups may be newly organized, or the podcast may be incorporated into existing organizations’ meeting agendas. Significant numbers of study groups have formed around Michelle Alexander’s The New Jim Crow— in churches, synagogues, mosques, book clubs, and community centers. Often times the groups becomes so engaged with the book materials that they decide to continue meeting, to learn and figure out ways to become more involved with the movement, but often times these groups are unsure how to proceed or how to connect with others. Additionally, we wish to include people behind bars in this project. Understanding that most prisons will not allow access to audio recordings like this, we will make transcripts of each show that can be printed and sent to people in prison. People in prison can form study groups or participate individually and become connected to people across the country. We encourage people on the outside to connect with people in prison invite them to join (we also suggest that people send a description first, so that those inside can choose whether to get involved with a project with such radical ideas and risk abuse or retaliation). This series will offer the means to organize groups, a way to continue to educate ourselves, to debate and hone the best ideas for expanding our study groups and organizations, and to participate in debates and actions with others across the country. Furthermore, annual regional meetings would be organized as a means for study groups to further network, unite, and coordinate regional actions.